In a bowl, add the bulgur and cover with the boiling water. Let soak for 30 minutes. Strain through a sieve and put back in the bowl. Add the lamb, egg and spices. Blend well. Season with salt and pepper. Shape 2 large patties the same size as the pita bread. Set aside on a plate. Cover and refrigerate 30 minutes. Grill the patties for about 8 minutes per side, turning carefully. Toast the pitas. Spread hummus on the pitas. 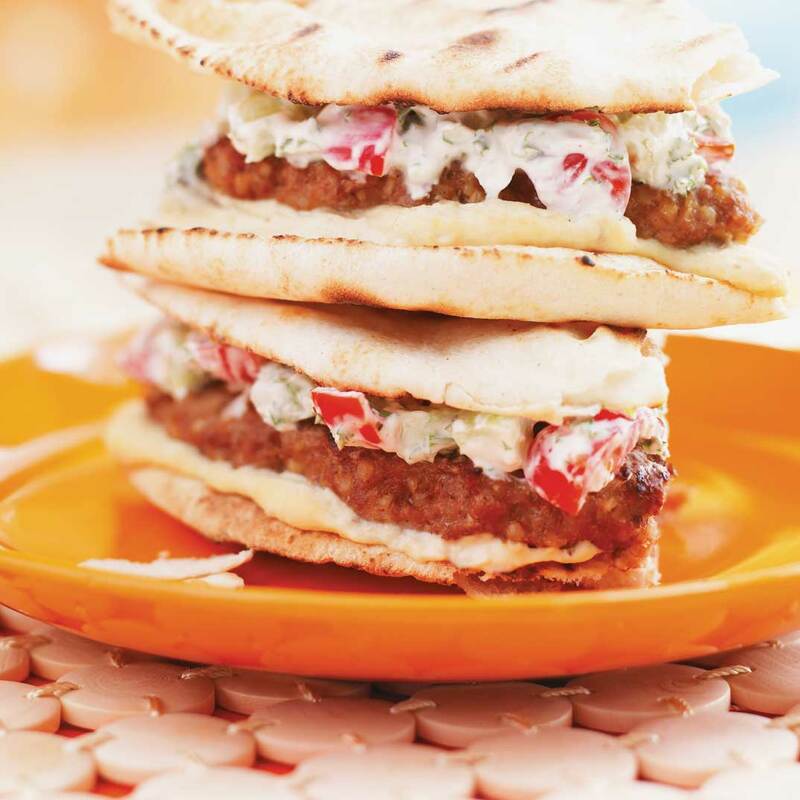 Place each patty on a pita. Top with cucumber, tomato and yogurt salad. 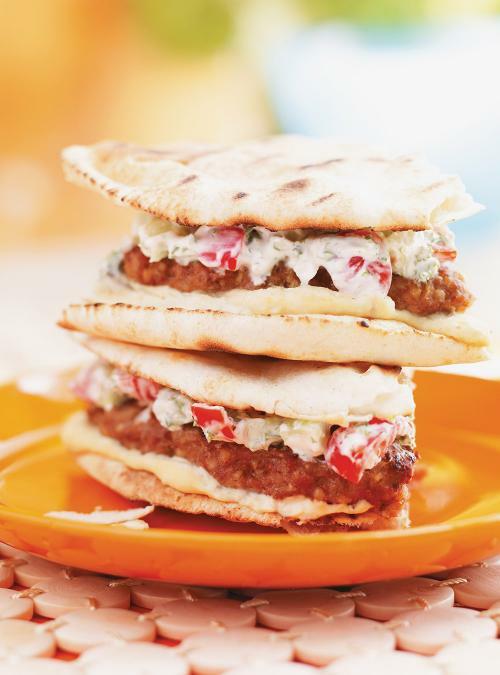 Top with a second pita. Cut each sandwich into quarters.